Viswanathan Anand lost Game 6 of the World Chess Championship against Norway's Magnus Carlsen, who is now leading with 3.5 points. Anand has 2.5 points half-way into the match in Sochi. Carlsen, thanks to the lucky victory, surged ahead in the match for the second time and now leads the latch by 3.5-2.5 at exactly the half way stage with six games still remaining. At the same point last year. The Norwegian had taken a two points lead at this point in the match and it was all effectively over for Anand. The missed opportunity, which could have turned the tide of the match came in a situation that was already worse for the Indian chess wizard. It was Sicilian Kann by Anand, a shocker in itself as the last time this opening featured in a world championship match was during the Kasparov-Karpov match in the 1980s when mostly it was the Gary's gambit on Kasparov's mind. 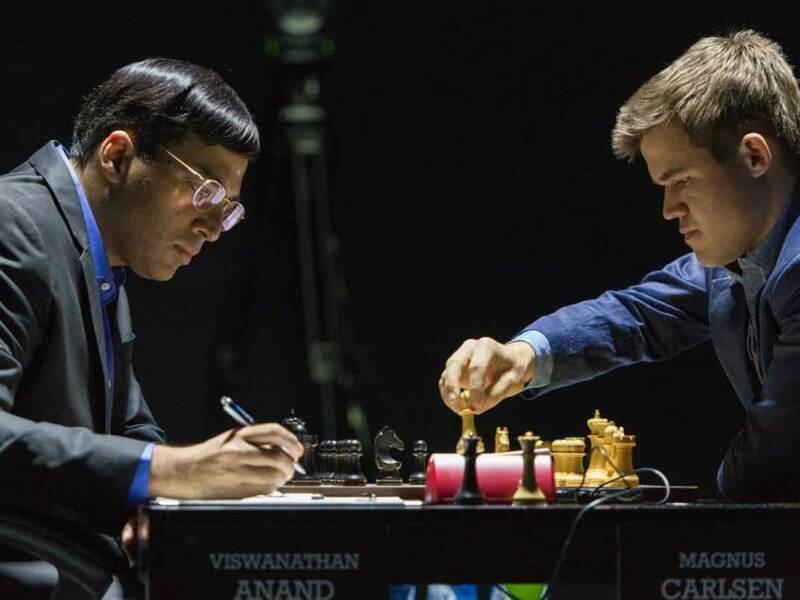 Surely, Carlsen got a stronghold on the position in quick time and gave little hope to Anand which was a clear indication that Anand had gone for a wrong choice. The queens got exchanged pretty early in the opening giving Carlsen a fine advantage to fight for victory. The blunder by Carlsen was, in fact, quite uncalled for as he had another move to reach the same position which would have reached similar result in the game. When asked about if he kept a poker face realising his mistake, Carlsen said, "I was not poker faced at all. I could have reached the same position via a different move order but I made the mistake." Anand on his part was quite disturbed at the outcome during the press conference and Fabiano Caruana's tweet that 'Vishy won't be able to sleep tonite' seems apt for the Indian ace. "Missing out on a winning opportunity is one thing, but Anand simply capitulated once under pressure," said Grandmaster Abhijeet Gupta who was watching the match from his home In India. Gupta also noted that Anand could have proposed a better fight towards the end but simply lost when put under pressure. Coming on a series of good results in the match this is a shocker for Anand at the half way stage. Unfortunately there is another black game coming for the Indian that does not improve things. All that Anand needs to do is think right and come back in his best fighting move. After the seventh game, the Indian gets to play three white games in the last five. Carlsen for now, seems far ahead in the match. 1. e4 c5 2. Nf3 e6 3. d4 cxd4 4. Nxd4 a6 5. c4 Nf6 6. Nc3 Bb4 7. Qd3 Nc6 8. Nxc6 dxc6 9. Qxd8+ Kxd8 10. e5 Nd7 11. Bf4 Bxc3+ 12. bxc3 Kc7 13. h4 b6 14. h5 h6 15. O-O-O Bb7 16. Rd3 c5 17. Rg3 Rag8 18. Bd3 Nf8 19. Be3 g6 20. hxg6 Nxg6 21. Rh5 Bc6 22. Bc2 Kb7 23. Rg4 a5 24. Bd1 Rd8 25. Bc2 Rdg8 26. Kd2 a4 27. Ke2 a3 28. f3 Rd8 29. Ke1 Rd7 30. Bc1 Ra8 31. Ke2 Ba4 32. Be4+ Bc6 33.Bxg6 fxg6 34. Rxg6 Ba4 35. Rxe6 Rd1 36. Bxa3 Ra1 37. Ke3 Bc2 38. Re7+ 1-0.